Description - Put your home theater in the spotlight with Joy Carpets Deco Strobe carpet. Durable and comfortable for any room in your home or business, this carpet is great as flooring in basements, cinemas, and home theater rooms. Resistant to mold, staining, soiling, and wearing, this broadloom carpet is backed by a lifetime warranty. 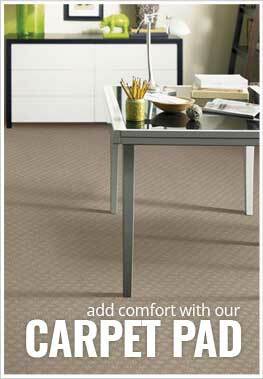 Joy Carpets Deco Strobe carpet is Class 1 fire rated and Green Label Plus certified. Recommended Uses - Joy Carpet Deco Strobe carpet is great for both commerical and residential spaces and is commonly used as flooring in home theater rooms, family rooms, rec rooms, cinemas, as flooring in man caves and much more. Great for home theater rooms and basements.